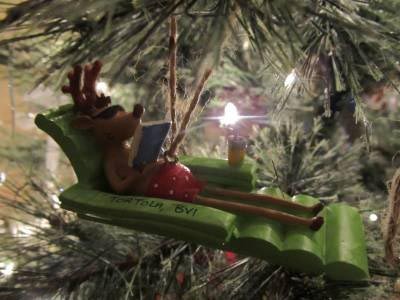 The ornaments on our Christmas trees aren’t just decorations, they’re family vacation memories. Our tree is decorated exclusively with ornaments we bought while on vacation — a tradition I highly recommend for traveling families.Decorating the tree becomes a yearly excuse to reminisce about our trips. As we unwrap each one, it brings back fun “Remember this place?” memories. There’s also the globe with an imprinted logo from the Cozy Dog Inn, a famous corn dog restaurant in Springfield, Ill. (sitting in a booth, sharing delicious corndogs and root beers). There are dozens of others, and I love each one of them. My husband and I started this tradition before we were married. In our tiny Chicago apartment, there was only room for a small table-top tree. We had to pick just a few ornaments, and we always chose the ones from our vacations. Soon enough, we had a collection. 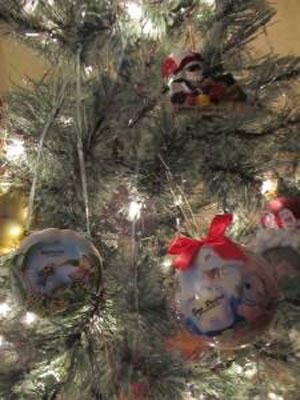 Ornaments are cheap souvenirs to buy, and it’s fun to hunt for new ones in gift shops. In some remote locations, that’s about the only thing in the gift shop, anyway. And there are some super fun and cheesy ones out there that are fun to add to the tree. Buy one on your next family vacation and you’ll see. It’ll be your favorite ornaments to hang up. I love this idea! What a great way to remember each trip. As we put up ornaments this year we laughed at the ones I have saved since the kids were little. Will adopt this! THX!